Dr. Fred Mather is a Family Physician in Kitchener-Waterloo and Medical Director of Sunnyside Home, the municipal LTC facility for the Region of Waterloo. He is also attending physician at two homes operated by Revera Living. He has thirty-six years' experience as a physician in long term care. 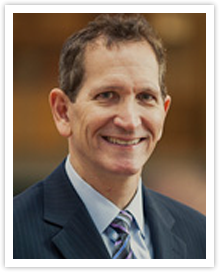 Dr. Mather joined the Board of Directors of Ontario Long Term Physicians (OLTCP) in 2011. He was previously Chair of the Health Care of the Elderly Committee of the College of Family Physicians of Canada from 2004 to 2011. As a director, he developed the web site and introduced the awards for Long Term Physician of the Year and Special Recognition. Over the past two years, he was involved in the creation of the new not-for-profit, Ontario Long Term Care Clinicians (OLTCC). During the transition year, 2016, he served as President of OLTCP and Vice-President of OLTCC. Dr. Mather believes the OLTCC must be the strong voice to the public, government and LTC stakeholders on behalf of physicians who practice long term care. He believes in inter-disciplinary and collaborative care and so welcomes the participation of other health care providers in the organization. "We are the experts in long term care and advocates for excellent care to the residents whom we look after." Evelyn Williams is an assistant professor in the Department of Family and Community Medicine, University of Toronto and teaches family medicine residents during their geriatric rotation. At the Veterans Centre of Sunnybrook Health Sciences Centre, she is Head of the Division of Long Term Care and has been a LTC attending physician for over 20 years. Dr. Williams has been involved with implementation of the interRAI tool and Minimum Data Set since implementation in complex continuing care in 1995. Current interests include use of performance indicators from the MDS for quality improvement projects. She obtained a Masters in Health Administration from U of T in 2004, and is currently the network lead for Long Term Care peer assessors for the College of Physicians and Surgeons of Ontario. Vice President - Louis Kennedy M.D. Interests: Electronic medical record development, morbid obesity and cannabis treatment in LTC. The intensive CME and networking at OLTCP (now OLTCC) conferences every year and our LTCMD Curriculum courses embody what our founders built through the OMA with the Ministry for physicians in LTC. OLTCC will continue to develop and foster the Ontario LTCC's leadership role in Quality Improvement. Since 2005, when Dr. Mossman completed her post Family Medicine Residency Fellowship in Care of the Elderly through McMaster University, she has devoted her medical career to enhancing the lives of seniors in the Barrie and Innisfil areas. She does so as a staff physician at the Barrie Community Health Centre (BCHC) where house calls, nursing home visits, social rounding in hospital complement clinic appointments to ensure the right care is delivered at the right time in the right setting with a focus on maintaining quality of life in an individual’s home. Well known for her commitment to and innovation in the treatment of the elderly, she provides consultations for the Aging Well Clinic, a joint initiative of the Barrie Community FHT and the BCHC. She has been the medical advisor for the Behavioural Support System within the NSM LHIN and supports the Specialized Geriatrics Services team in their pursuance of delivering focused care to this expanding demographic. She recently completed the role of President of the Medical Staff at the Royal Victoria Regional Health Centre (RVH). She has also been a board director for the Barrie and Community Family Health Team as well as the RVH hospital board. Dr. Mossman values knowledge translation to colleagues in many disciplines and as such is an Assistant Professor for The University of Toronto. She is coordinator of the academic half day and the geriatric rotation for Medical Residents training in Barrie through the Family Medicine Teaching Unit and presents for the College of Family Physicians of Canada an accredited MainPRO C curriculum to Family Physicians, both provincially and nationally, on the topic of Dementia & Behaviours. She is well regarded by her colleagues as a member of the peer review panel for the Certificate of Added Competence at the College of Family Physicians of Canada, and in 2015 was recipient of the CFPC Award of Excellence among a number of accolades. Julie Auger has been working in Long Term Care since 1988 and became the Medical Director of The City of Timmins Golden Manor Long Term Care facility in 2007. She is also the Medical Director of Rehabilitation and Continuing Care Program at the Timmins and District Hospital. Additionally, she is currently the Clinic Lead in Long Term Care with Health Quality Ontario. Julie is an Associate Professor in the Division of Clinical Sciences for the Northern Ontario School of Medicine. She completed her medical school in Ottawa, Residency through the Northeastern Ontario Family Medicine Residency Program and a Care of the Elderly Fellowship in Ottawa. She was born and raised in Northern Ontario and brings a rural voice and experience to the OLTCC Board. Her interests include Quality Improvement and advocacy work in Long Term Care. Dr. Rhonda Collins is Chief Medical Officer with Revera Inc. a leading owner and operator in the Long-Term Care and Retirement sector. Dr. Collins is a Family Physician with a certificate of added competence in Care of the Elderly from the College of Family Physicians of Canada. She has worked as the Attending Physician and Medical Director at five LTC homes in Niagara including the T. Roy Adams Regional Centre for Dementia Care. Dr. Collins Initiated and served as lead physician for two primary care memory clinics based in a Family Health Team and hospital setting. She is an Associate Clinical Professor, Department of Family Medicine, McMaster University and has served as the Regional Geriatric Preceptor in Family Medicine, McMaster Niagara Campus, Clinical Consultant for Senior’s Mental Health Outreach program in Niagara and has also served on the Board of Directors for Alzheimer Society of Niagara. Dr. Collins received nominations in 2013 and 2016 for the Regional Geriatric Program’s Service Award in Geriatric Excellence. Dr. Rob Cooper graduated from Osgoode Hall Law School and the University of Toronto Medical School. He completed a family practice residency at the University of Toronto. He has a clinical practice at the Dufferin St. Clair Community Clinic in Toronto and in Orillia. He is a Councillor for the Canadian Medical Protective Association and Chair of the OMA section for Addiction Medicine. Dr. Lorand Kristof is a Family Physician in Brampton and an attending physician at Malton Village LTC, Mississauga. He is a rehabilitation physician and part of the Palliative Division at Brampton Civic Hospital, William Osler Health System. Dr. Kristof has trained in both Family Medicine and Geriatrics. After graduating from Family Medicine Residency he completed a 2 year Geriatric Fellowship at University of Connecticut. He has dual Family Medicine Board Certification in both Canada and USA and he holds a Certificate of Added Qualifications in Geriatrics in USA. Dr. Kristof's practice has a special focus on the primary care of older adults and on palliative care. He follows his elderly patients along the continuum of care in the family medicine clinic, in their home, in retirement homes and in LTC. He provides palliative care in the hospital as well as in the community and in hospice. Dr. Kristof is currently completing the Ontario Long Term Care Physicians' Medical Director Course. Philip McGarry graduated from Medicine, 1978 from Western University(former UWO). He practised family medicine from 1979 to 2011 in Niagara Falls Ontario. He has been the medical director at Oakwood Park Lodge from 1980 to present and at Valley Park Lodge for many years . Since Millenium Trail Manor opened in 2004 he have been their medical director. He also attends residents at Eventide Nursing Home. One day a week he is a hosptialist in Complex Continuing Care at the Port Colborne Site of Niagara Health .He enjoys the extra time to mentor and instruct learners and staff at his sites. He was honoured to be the OLTCC physician of the year for 2014. Nancy McKeough is a family physician working in London, Ontario. She has an appointment as an Adjunct Clinical Professor through the Department of Family Medicine at Western University and has been practicing family medicine at one of the academic clinical teaching units since 1989. Dr. McKeough started caring for the frail elderly as a LTC attending physician in 2004. She has been an attending physician at Dearness Home in London since 2007 and became Medical Director there in 2015. She completed the Medical Director's Course in 2016. At both her practice sites, Dr. McKeough is actively involved in clinical teaching of medical students and residents in both family and geriatric medicine and program development of the LTC geriatric experience for family medicine residents. Ben completed his family medicine residency in 1988 from the University of Ottawa. 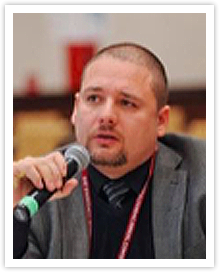 He has been involved with the Faculty of Medicine and holds a faculty appointment with the University of Ottawa, Faculty of Medicine. He has been active with acute hospital care and long term care since, along with his general family practice. He earned his Care of the Elderly and Palliative Care through the Leadership route. Dr. Shamon has been practicing as a Family Physician in her hometown of Cambridge, ON since 2015. She completed her MD at UBC and finished residency training at Western University in 2013. She holds faculty privileges with Western University and continues to be involved in teaching medical students and Family Medicine residents. Along with her largely geriatric office practice, she also works in two LTC facilities. In addition, she has recently taken on palliative community care. Dr. Shamon is a strong advocate for advanced care planning and early palliative care planning in LTC. Through the leadership of OLTCC and its Board I hope to contribute to enhancing education and evidence-based policies that improve quality of compassionate care in LTC.